Xiaomi Mi Pad 4 Will be Fueled by Snapdragon 660 - Playfuldroid! On June 25, Xiaomi will be debuting the Redmi 6 Pro and Mi Pad 4 tablet. 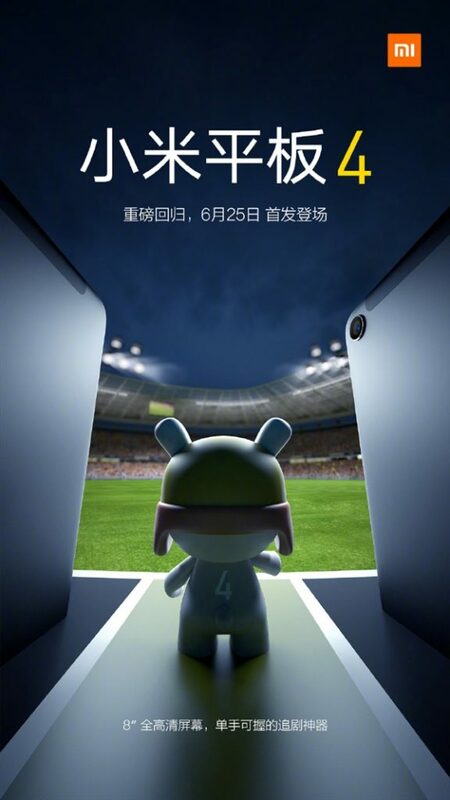 With four days remaining for the launch, Xiaomi has started teasing on the features of these devices. Today, the Chinese manufacturer has confirmed through a poster that the Mi Pad 4 will be fueled by Snapdragon 660. As the below poster reveals, the Snapdragon 660 SoC will be present under the hood of the Mi Pad 4 tablet. The “smart game acceleration” text indicates that the tablet will be optimized to deliver better gaming experience. Earlier this year, XDA Developers had revealed that the SD660 will be powering the upcoming tablet from Xiaomi. However, it had also claimed that that clocking speed of the SoC will be reduced 2.0 GHz instead of its usual processing rate of 2.2 GHz. 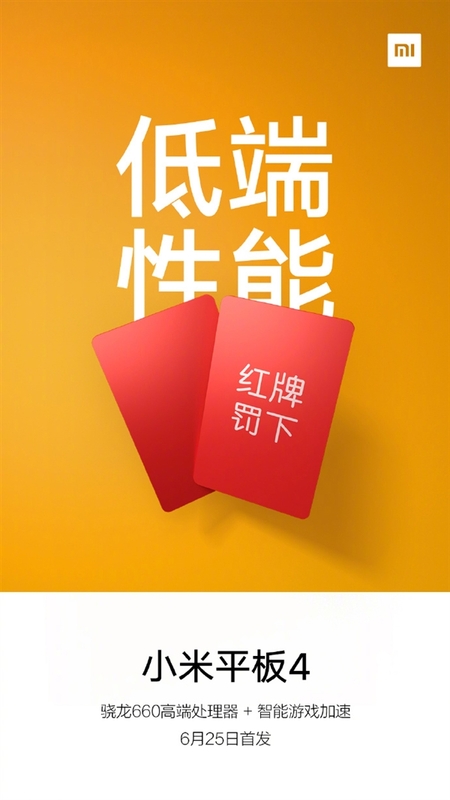 The Mi Pad 4’s launch poster had revealed that the tablet would be equipped with an 8-inch display. Rumors have it that the tablet may arrive with an elongated chassis with an 18:9 aspect ratio inside it. Such a design can be unwieldy, but it can offer better grip while playing games or watching videos on it. Other rumored specs of the Mi Pad 4 include 13-megapixel rear camera, 5-megapixel front camera, Android 8.1 Oreo OS and 6,000mAh battery that will carry support for 10W charging.